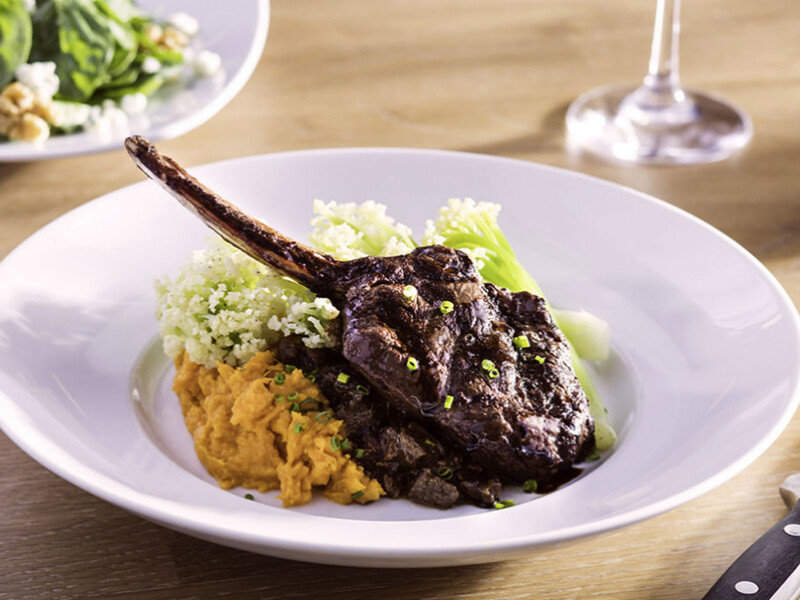 Seasons 52 venison chop with sweet potato. Pizza is the word of the day, the week, the year. There's much pizza in this restaurant news roundup, and yet more pizzerias keep opening. There are also lots of limited-edition menus, with special dishes available only during the month of October. Do not delay, get out there and get 'em quick. Sauce Pizza & Wine, the fast-casual pizza chain from Arizona, has new locations coming soon to Dallas-Fort Worth including Las Colinas, which opens in fall 2018, and The Hill in Dallas, in early 2019. Sauce Pizza & Wine debuted in Tucson in 2003, and has since expanded across Arizona, New Mexico, and now Texas. 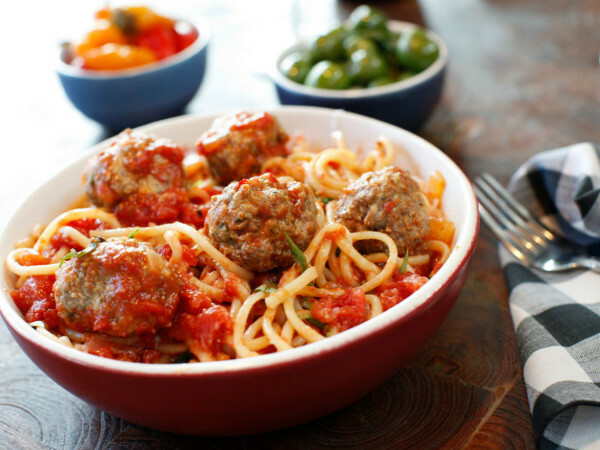 Sauce Pizza & Wine offers salads, pasta, pizza, wine, and local beer. Guests can build their own pizza or opt for signatures like spicy chicken sausage pizza with Hatch green chile, or the compelling rosemary potato white pizza with spinach, feta, olive tapenade, and truffle oil. 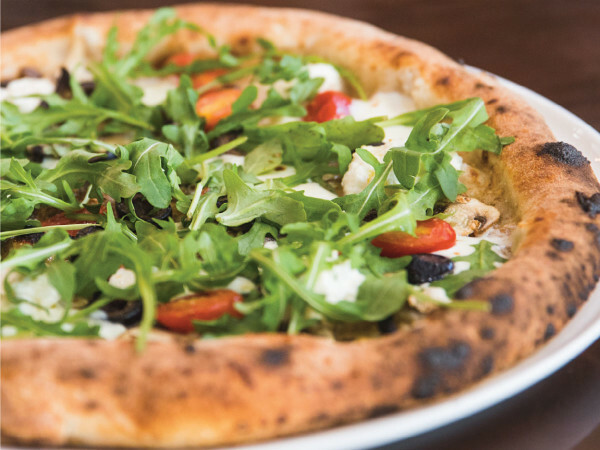 In addition to pizza, Sauce has salads such as roasted vegetable, quinoa, beet, and arugula, and a Caprese. The Las Colinas location is at 7300 N. MacArthur Blvd #110, Irving. Rotolo's Craft and Crust, the Baton Rouge-based pizzeria, has opened its first location in Texas in Frisco. The restaurant is at 9250 N. Dallas Pkwy., Ste. 130. Rotolo's makes its dough and sauce and cuts the veggie toppings by hand. Founder Mitch Rotolo opened the first Rotolo's Pizzeria in Baton Rouge in 1996, just a pizza throw away from LSU. Over 20 years later, the chain has more than 30 locations in Louisiana, Texas, Alabama, and Florida. There are locations coming soon to Lewisville and other Texas towns including Tyler and Beaumont. Pokéworks, one of the largest and fastest-growing poke brands, is opening two locations in Dallas, including one at 8041 Walnut Hill Ln. in October. Pokéworks was founded in New York in 2015 by brothers Michael Wu and Peter Yang, and college buddies Kevin Hsu and Kasper Hsu, who all shared a vision of bringing quality and affordable flavorful food to the masses. Sounds yummy. 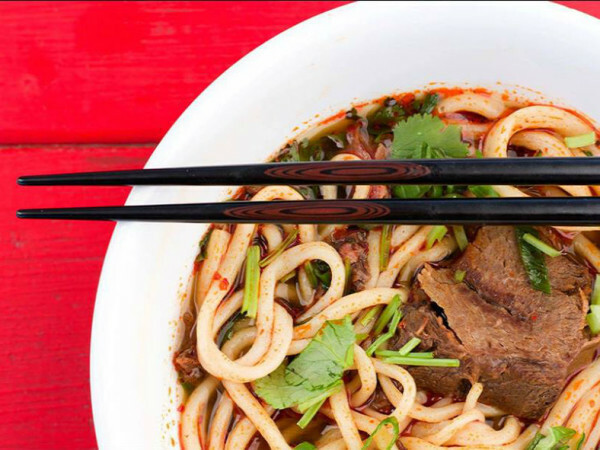 ZiZi Ramen & Sushi opened in August from husband-and-wife owners Lai Thang and Van Iang, in the former Vakok Burmese Cuisine location at 9711 Plano Rd. The Asian fusion menu includes ramen and sushi such as the volcano roll, a California roll topped with shrimp. There are also Burmese dishes such as mohingar, a noodle dish with egg, fish, and chickpeas. Thang was previously a sushi chef at Kroger. I Love Juice Bar, a national juice bar chain, opened its 50th location, and it just so happened to be in McKinney, at 301 N. Custer Rd. This is the first location nationwide to offer drive-thru service and a digital menu. Yay McKinney. Fulll is a new bubble tea shop deep inside Dallas' Central Business District, on the upper level of the food court in the Plaza at the Americas, worth mentioning because bubble tea is — or used to be — a rare commodity within Dallas. Their menu includes standard boba drinks but also some impressive juice-tea combinations such as orange-grapefruit green tea made with fresh squeezed juice, and cool yogurts such as lemon and grapefruit. Velvet Taco, the small local taqueria chain, has a new brunch menu with four items. Chicken & Waffle has chicken tenders, peppercorn gravy, green apple slaw, maple syrup, peppered bacon, red chili aioli, and chives atop a waffle tortilla. Bacon & Eggs comes with tater tots ad smoked cheddar on a corn tortilla. Monte Cristo is a sweet and savory taco twist with strawberry jam, honey ham, gruyere, and strawberry jalapeño salsa on a French toast flour tortilla. Steak & Eggs features potatoes, hollandaise, and arugula in a flour tortilla. RA Sushi Bar & Restaurant is featuring a limited-edition spiked sake roll, a tuna-based roll infused with Tyku Red Flower sake, served over a bamboo leaf with a side of sake dipping sauce. Served only to guests who are over 21, it's available through the end of October. Seasons 52 has launched a fixed-price Harvest menu with choice of soup or salad, entrée, and dessert for $30. The menu features five entrees, including short rib lasagna, venison chop with venison ragout and sweet potato mash, lamb shank with green beans and Yukon mash, cedar plank-roasted salmon with crushed potatoes, filet mignon with roasted mushrooms and Yukon mash. Soup and salad options include butternut squash soup, porcini mushroom bisque, spinach and pear salad, and field greens. Desserts include pumpkin pie or pear cheesecake. Pappas Bros. Steakhouse has added four new appetizers to its classic steakhouse menu, including an Italian-inspired burrata salad, burrata cheese served on Italian-style salsa verde and ciabatta crostini with heirloom tomatoes, beets, pistachio, and arugula; lobster and brioche, served with four pieces of toasted brioche, Havarti cream sautéed spinach, and freshly sliced truffles; and house smoked salmon with fennel radish salad and grilled ciabatta toast. Empire Baking Company, the best bakery in Dallas, has added three new sandwiches. Egg Salad Sandwich has pickled red onions and comes on Hippie Health Bread; Pastrami Pimento Cheese on Empire’s Jalapeño Cheese Bread with sliced prime beef pastrami, house-made pimento cheese, arugula, and bread & butter pickles. Butternut Pesto is a fall sandwich with roasted butternut squash salad, kale, and pumpkin seed pesto on molasses wheat bread. Blue Sushi Sake Grill is bringing a throwback menu to its Preston Hollow Village location, with dishes back by popular demand including the Maui Roll with shrimp tempura; Three Amigos, a tempura-fried roll with spicy crab; the tan roll with cooked salmon; Hot Night with shrimp tempura and tuna; tuna tacos; and coconut crab soup with roasted corn, sweet potatoes, and yellow curry. The menu launches October 8–28. Snuffer's Restaurant & Bar has a limited-edition Halloween special: the "terrifyingly delicious" ghost pepper cheeseburger topped with ghost pepper cheese, grilled jalapeños, grilled red onions, and yellow mustard. It's $9 and available through October 31. Kenny's Burger Joint has added a special ghost burger with a blackened half-pound patty, pepperjack cheese, lettuce, tomato, onion, avocado, and white queso. The burger ia $11 and is avaiable through the end of October. Pinstack, the entertainment and dining destination, has a new round of chef specials and a cobbler of the month, available throughout October. There's an antipasto pizza and a new variation of the Impossible Burger served Caribbean-style with pineapple, jerk seasoning, and a teriyaki glaze. Other special offerings include French onion soup, quesadilla, and Cajun-inspired blackened mahi. The cobbler flavor: cherry. Black Walnut Cafe is going all in on pumpkin with new specials that'll run through the end of October. Get ready to see the word "pumpkin" a lot with a lineup that includes pumpkin ravioli, pumpkin pancakes, pumpkin pie, pumpkin muffin, pumpkin spice gelato, and pumpkin spice latte. Applebee's is hosting an all-you-can-eat wing special through the end of October with boneless or bone-in wings, plus unlimited fries, for $12.99. Applebee's boneless wings, crispy breaded pieces of tender boneless chicken, and bone-in wings, twice battered and fried, are tossed in choice of Classic Hot Buffalo sauce, Honey BBQ sauce, or Sweet Asian chili sauce and served with Bleu cheese or ranch dressing. The chain will also feature a $1 Zombie as its drink of the month, and house margaritas on Wednesdays through October for 50 cents. Fiction Coffee has debuted two new drinks. The Toast to Tolkien is a mixture of cold brew and reduced tamarind with molasses spice syrup, for a sweet, stout cold brew reminiscent of a fall beer. There's also a traditional latte flavored with five-spice syrup, with flavors of maple, cardamom, fennel, allspice, and black pepper. Genghis Grill at 3211 Preston Rd. recently re-opened after completing a major remodel project. The new design includes colorful booths, reimaged exterior window graphics, and walls decorated using geometric graphics and refurbished signs. The restaurant also features a convenient new takeout pick-up area and self-service beverage station. Avner Samuels, the longtime Dallas chef, has returned to town to join Neiman Marcus as executive chef and restaurant manager at the Mariposa at Willow Bend.